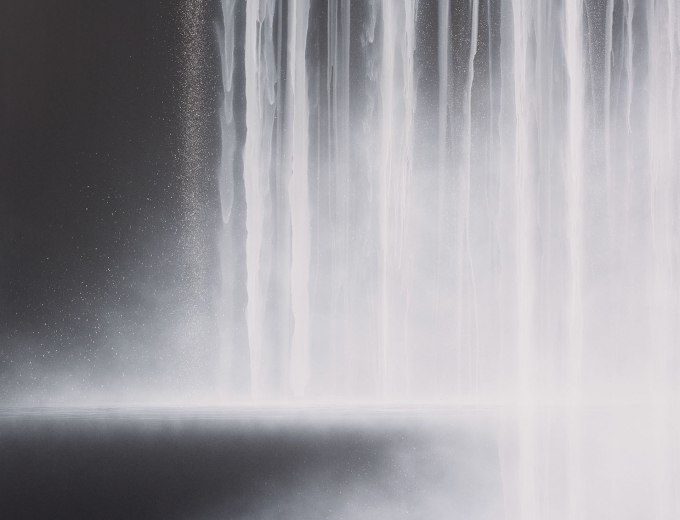 September 16th, 2006-Sundaram Tagore Gallery is pleased to present surface tension, a show of work by Frances Barth and Hiroshi Senju. 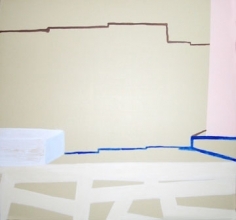 These two artists are the newest additions to the gallery's international roster of artists, and they both explore painting as panorama versus entity in their monumental works. 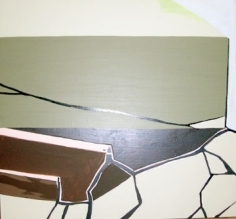 Frances Barth paints landscapes of shifting perspectives, creating a space where the viewer is an active participant. 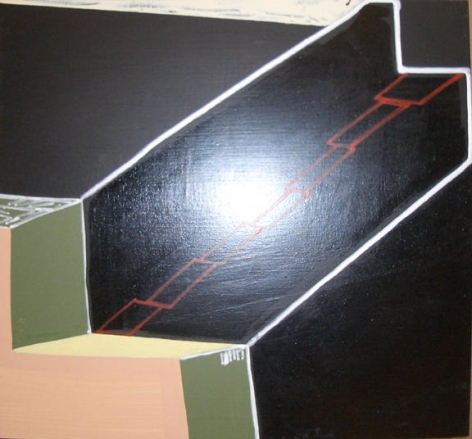 Her paintings are a window into a world at once familiar and disquieting. Senju's Falling Color series uses bursts of flowing saturated color to highlight the rushing power of water. 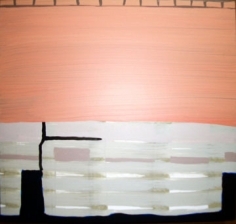 His ancient technique of grinding natural pigments and applying them to handmade rice paper is combined with a very modern sensibility- he objectifies the landscape through abstraction and makes it a totemic object in and of itself. 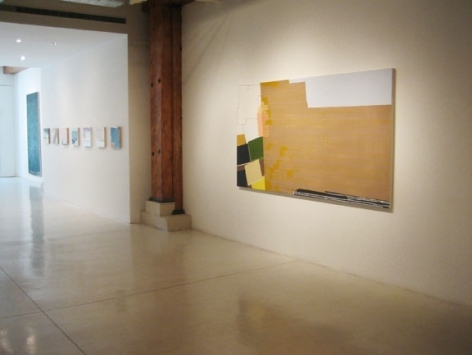 surface tension will open Saturday, September 16th, and will continue through the 30th of the month. Hiroshi Senju is a painter who expresses contemporary modernity through ancient painting techniques that are unique to Japan. Hiroshi Senju's art can be understood in its simple immediacy–bold, glowing lines flow down against a deep blue-black expanse in his Waterfall series. A sense of powerful, timeless calm, the monumental force and presence of nature, is perceived. 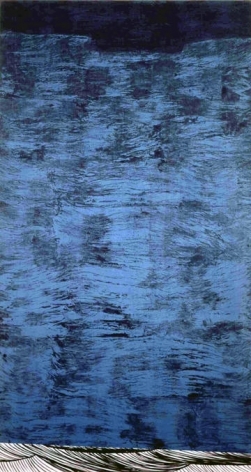 He combines finely ground pigments derived from natural materials in a medium of animal-hide glue, and then applies this "paint" to handmade rice paper mounted on board. This results in a matte surface that glows with the richness of the applied colors. 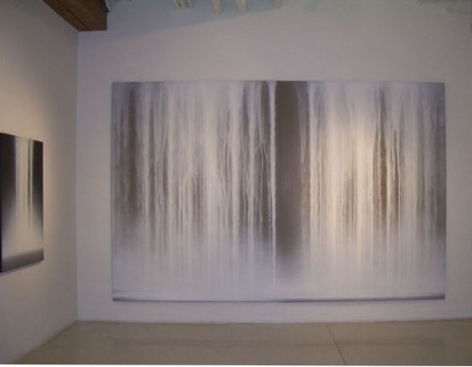 Senju is the first Asian artist to receive an individual fine arts award at the Venice Biennale for his acclaimed Waterfall paintings in 1995. 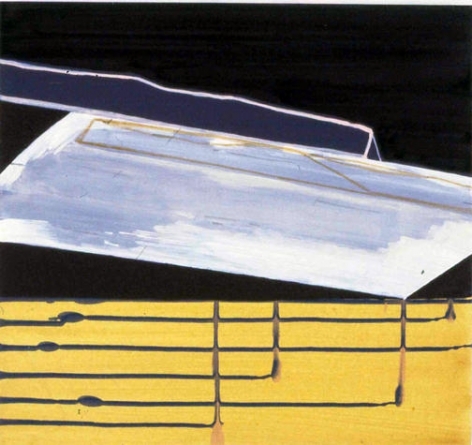 Museums that collect his work include the Museum of Contemporary Art in Los Angeles, California; the University of California, Los Angeles, California; the Kushiro Art Museum, Hokkaido, Japan; and The Museum of Modern Art, Toyama, Japan. 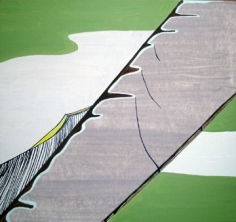 Frances Barth's paintings combine the topographic and the tectonic with an ethereal lightness of space and color. Using references that allude to multiple times and histories, Barth creates seductive narratives that have no beginning or end. One sees many influences including both the panorama of the American landscape and the compositional rigor of the Japanese woodblocks of Hiroshige in her deftly colored and intelligent works. Barth is the Director of the Mt. Royal School of Art, Maryland Institute. Her paintings are in the collections of the Metropolitan Museum of Art, New York, New York; The Museum of Modern Art, New York, New York; and the Whitney Museum of American Art, New York, New York, among others.